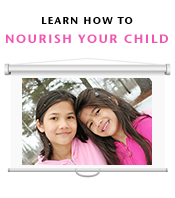 We seek your testimonials to add to our Nourished Families series! In return, we’ll be happy to ship The Adventures of Andrew Price hard copy to a United States address, or another one of our downloadable educational materials of your choice if we decide to publish it! We’ll also ask you for some photographs! Introduction: please provide an overview about you and your family. How and when did you learn about the Wise Traditions diet we recommend? How did you eat before you started to incorporate these principles? What are the ways you nourish rather than merely feed your family? How do you know you and your family are well nourished? What changes have you seen in your health? What are some of your favorite meals or favorite foods? What pearls of wisdom would you offer those new to these principles? Here is one example that covers many of the questions above, and others from the series. Only eat foods that will eventually rot.